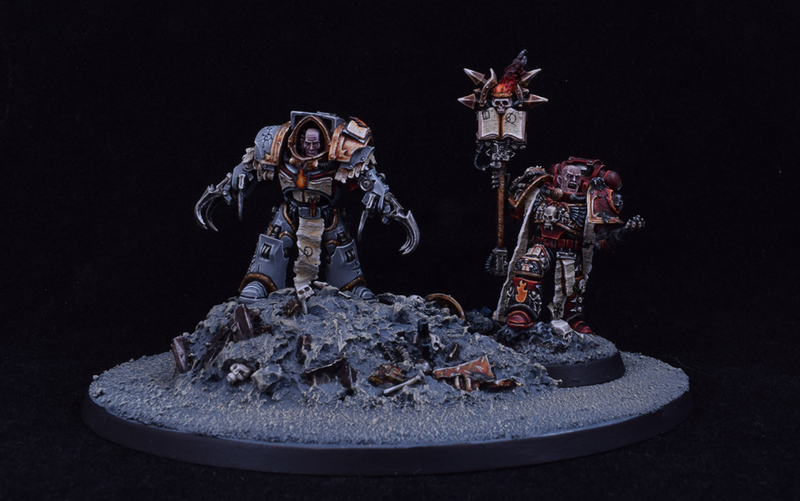 I am not entirely sure I am that keen on their bases, or the scenic base. 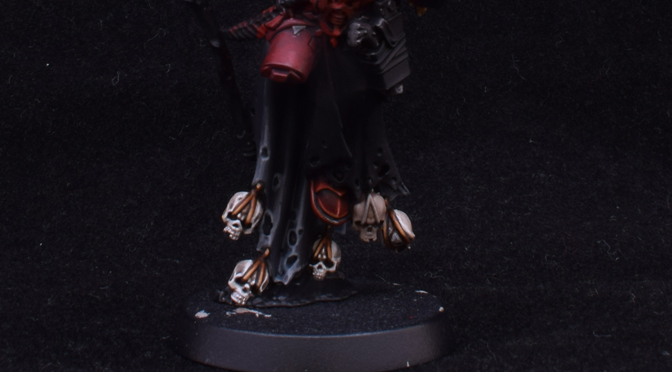 Nothing wrong with it, just not sure it fits my other Word Bearers. 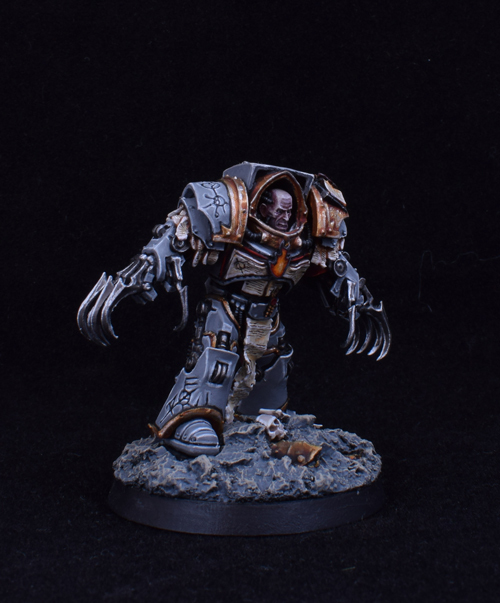 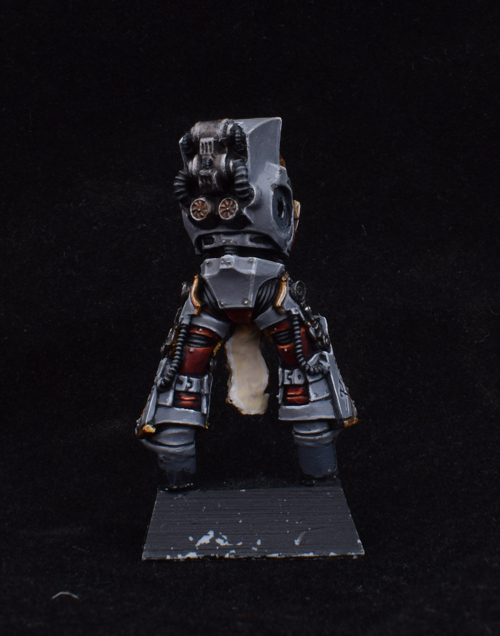 Here is some pics of Kor Phareon on his own. 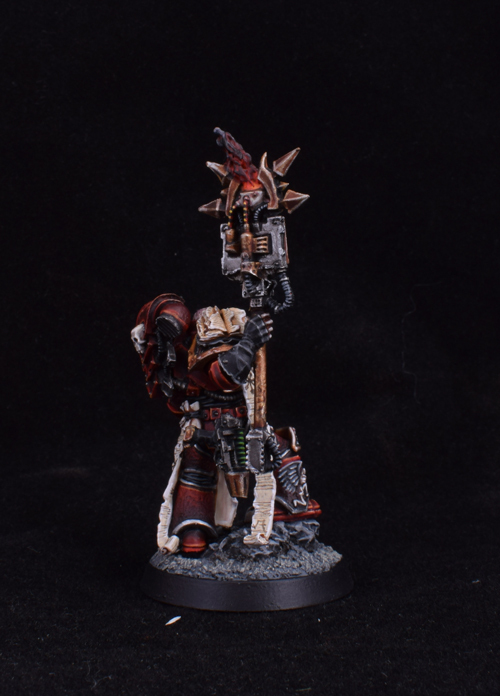 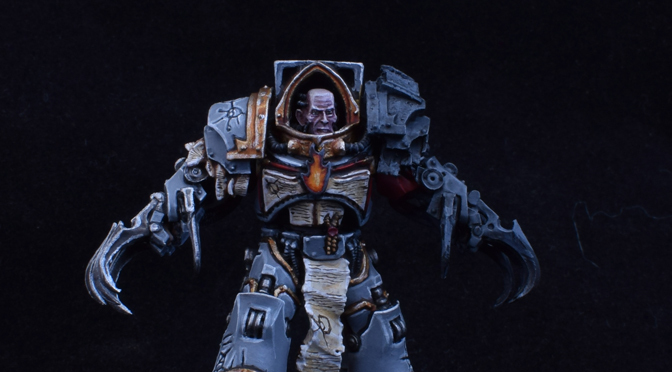 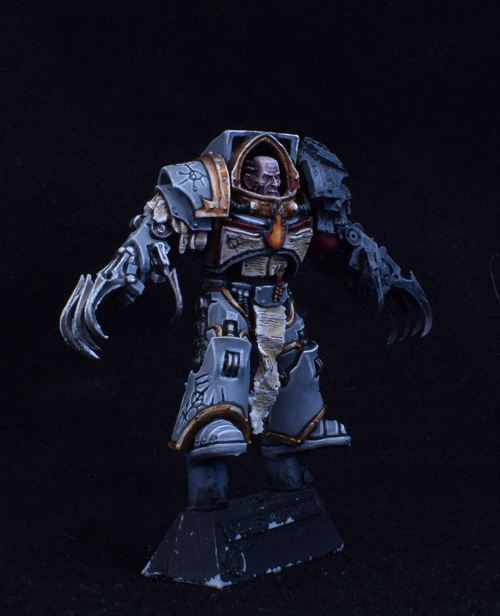 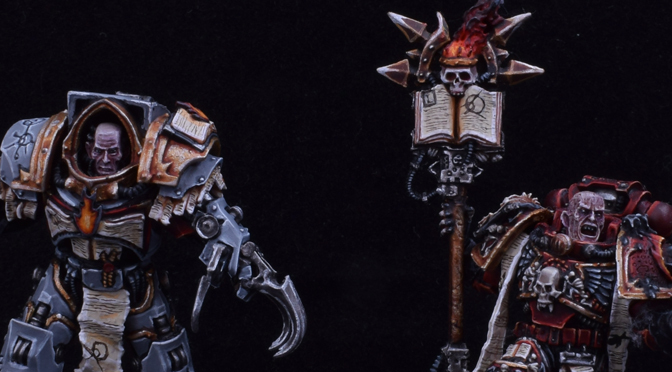 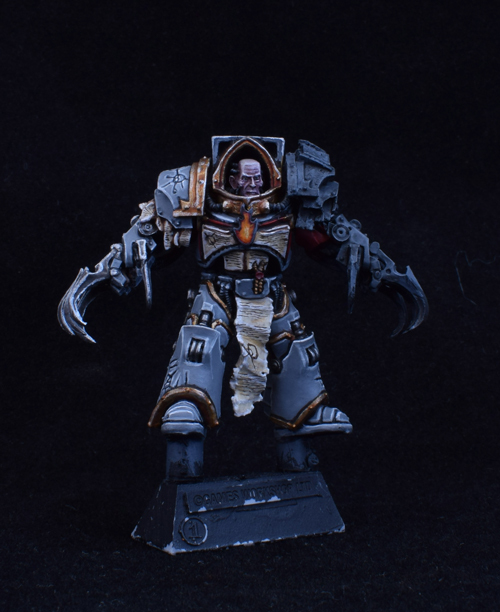 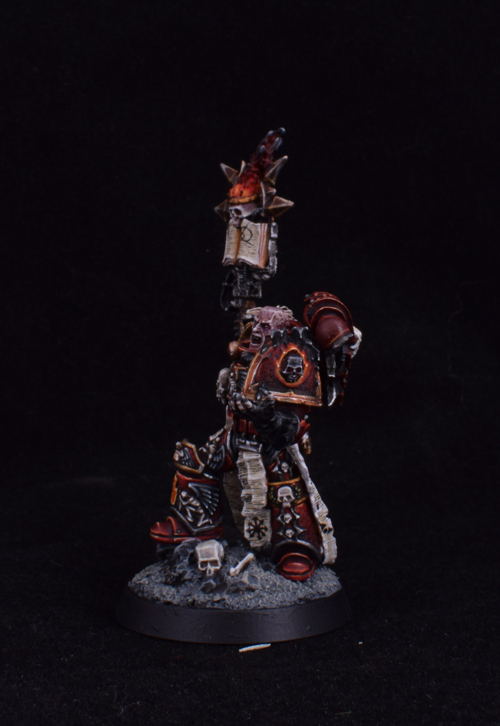 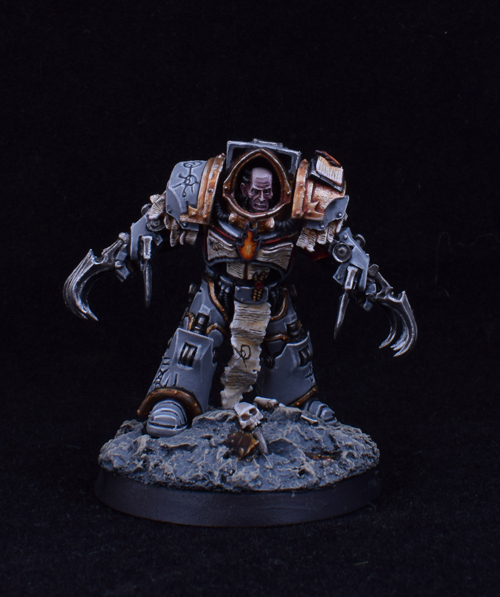 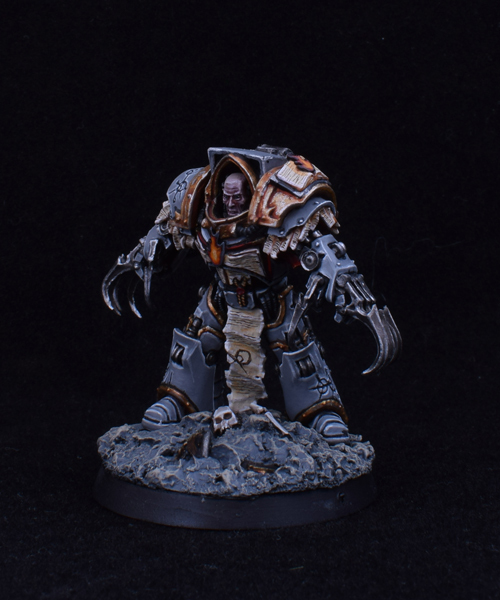 I love how this guy walks into his suit of terminator armour, and the contrast between the heretical red armour and the loyalist grey is pretty damn sweet. 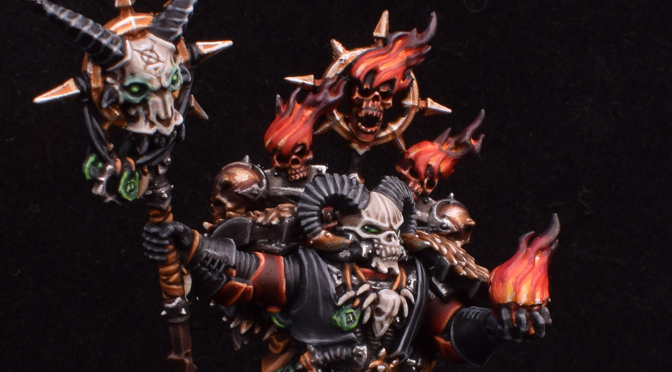 My own real issue with this model is the face. 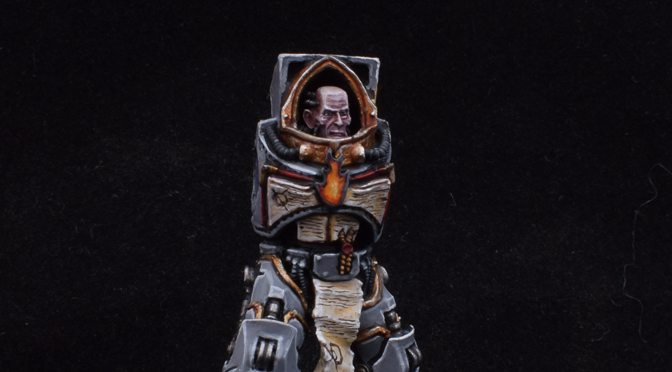 It looks like he has had a stroke. 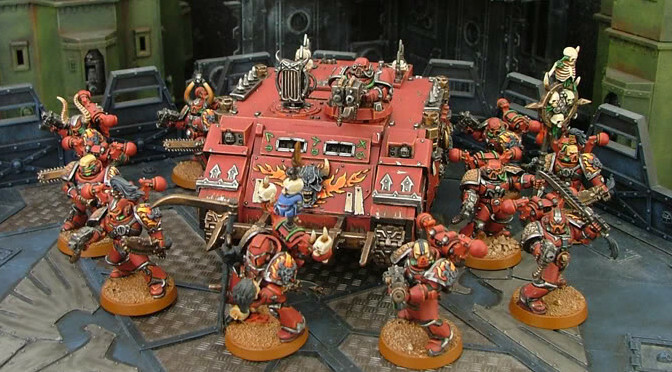 This may actually be intentional. 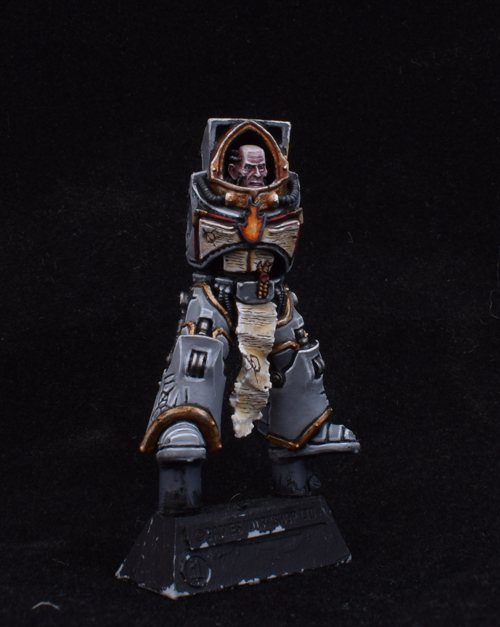 His creaking body has been pumped full of so many drugs and undergone so many surgeries, that his features represent that. 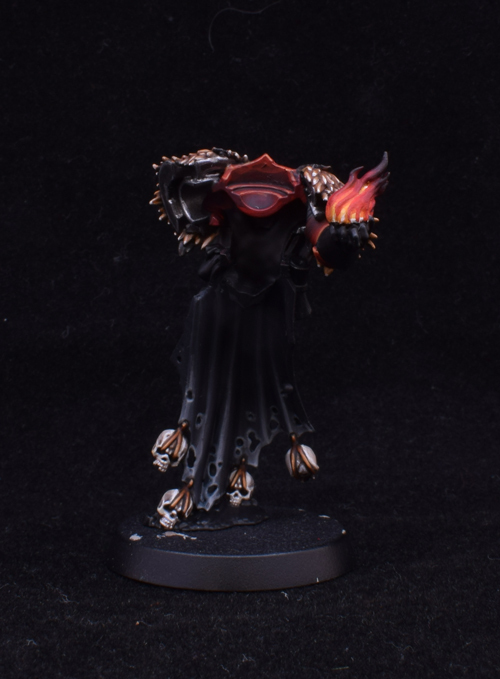 But it doesn’t look sinister, it just looks a bit derpy. 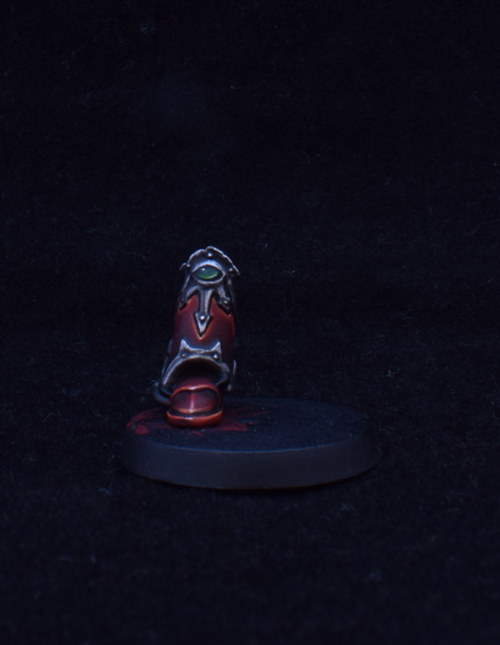 Other than that, I am pleased with these two. 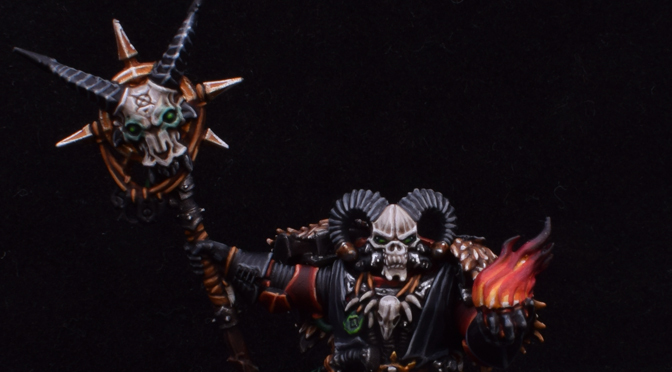 Loads of the detail is difficult to pick out on these models, and I think I managed to get away with it! 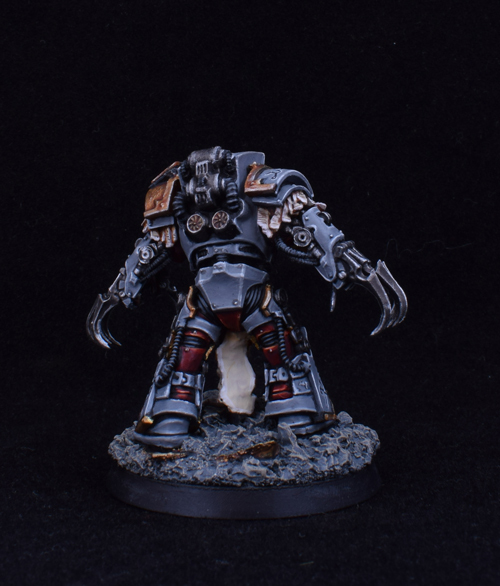 Not had much time for painting recently, but I am plodding along as best I can with Kor Phaeron. 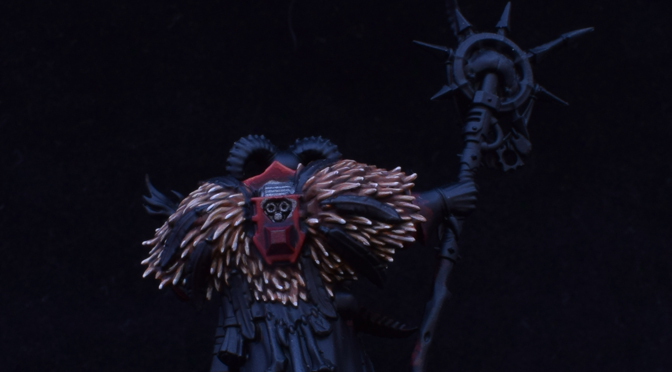 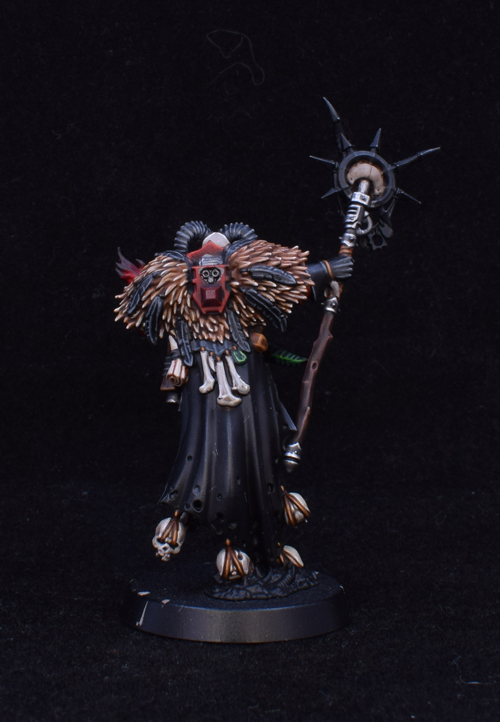 The best character in all of 30k is finished! 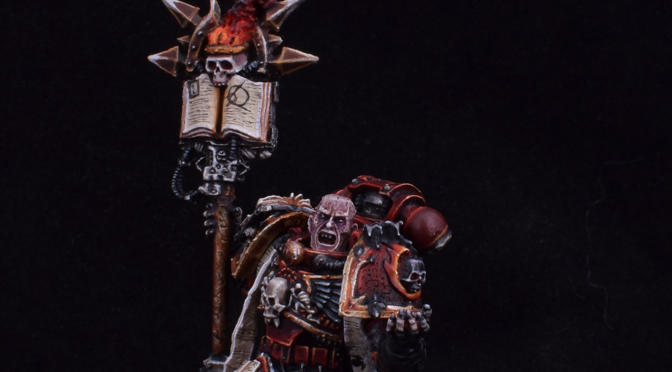 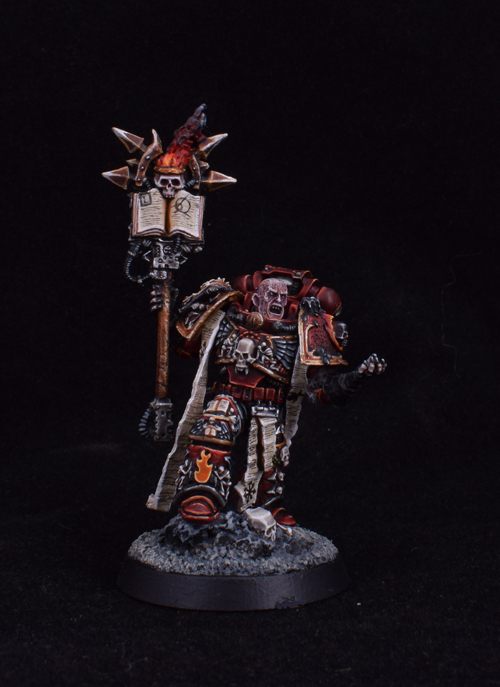 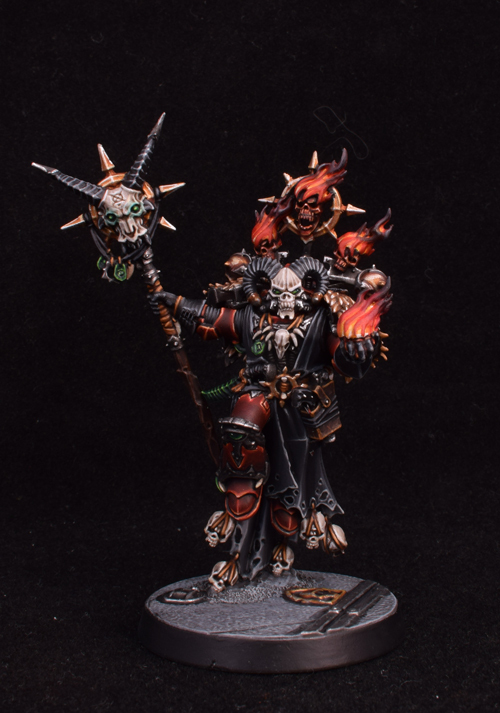 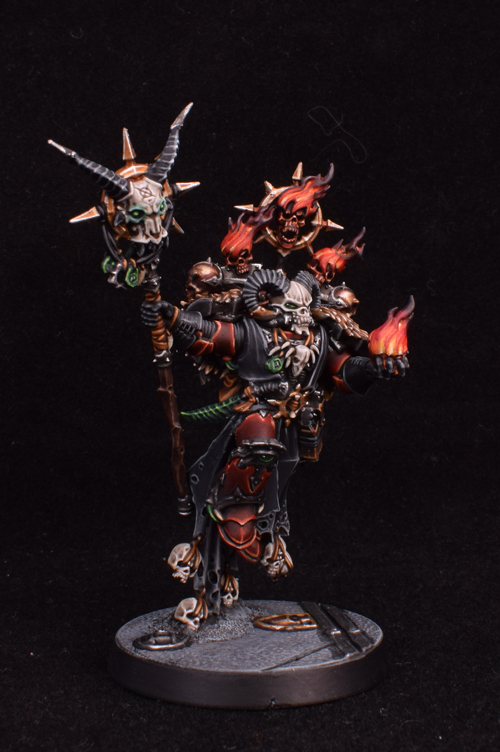 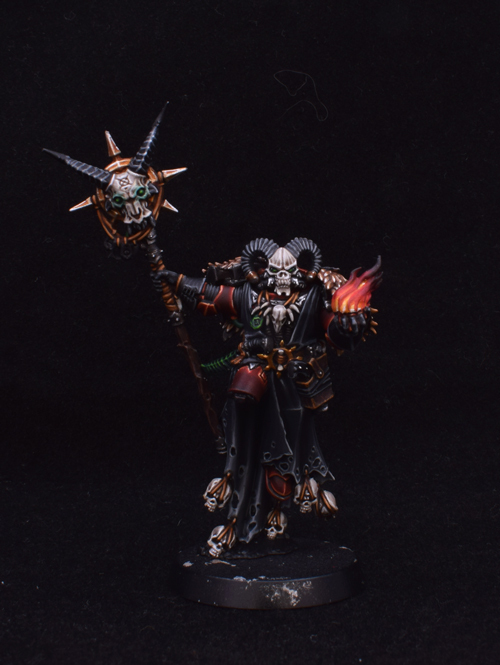 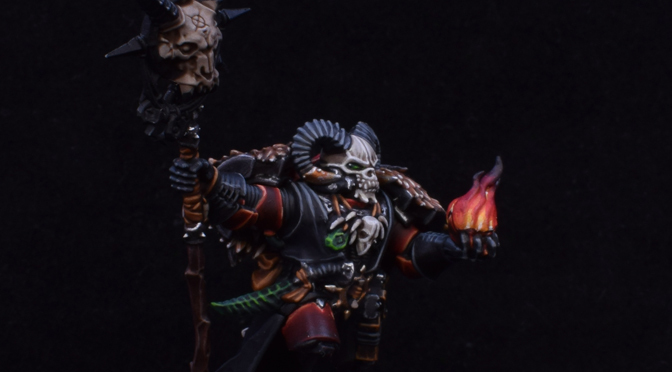 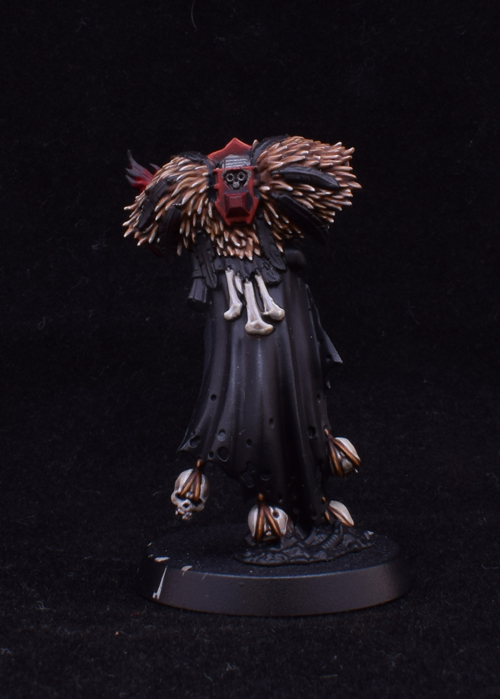 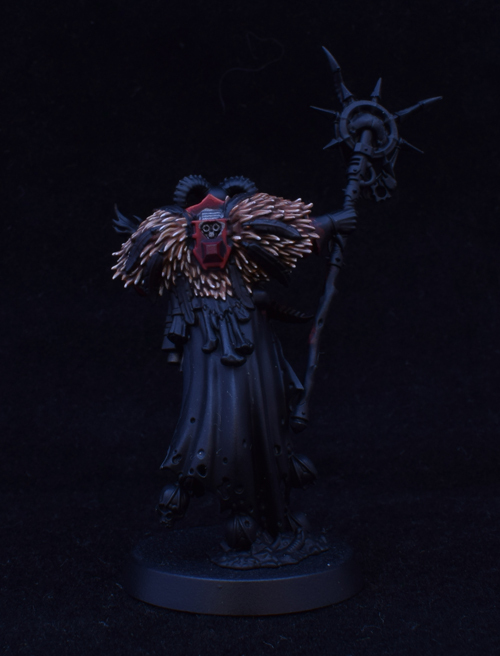 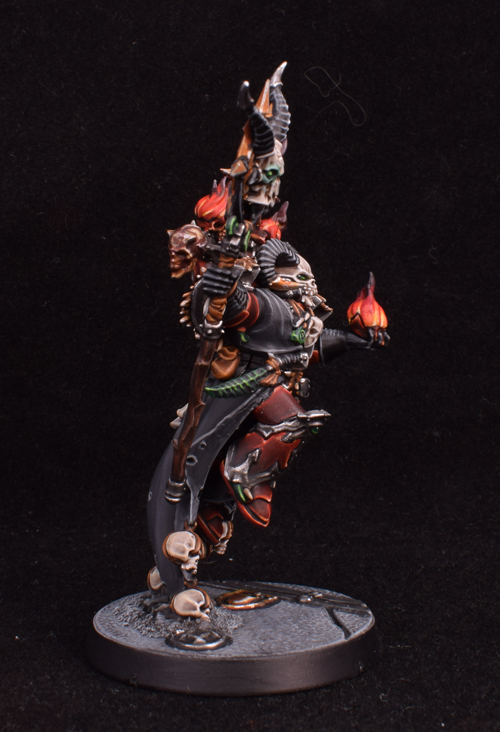 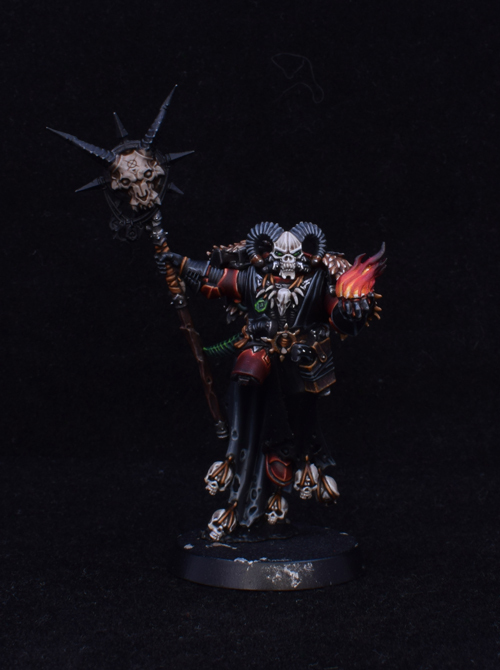 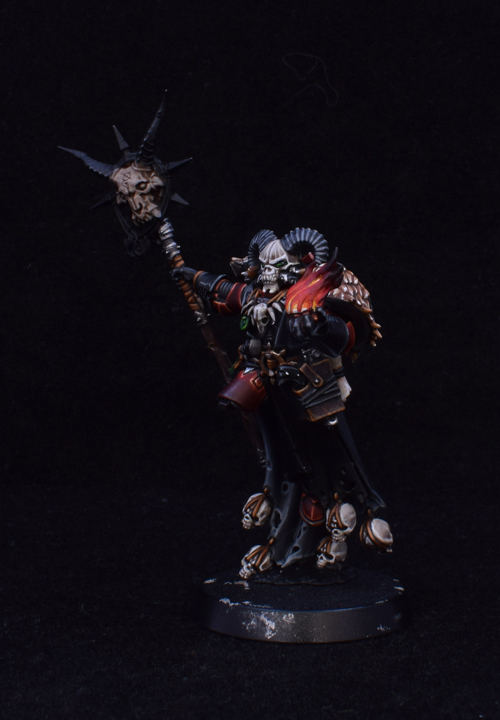 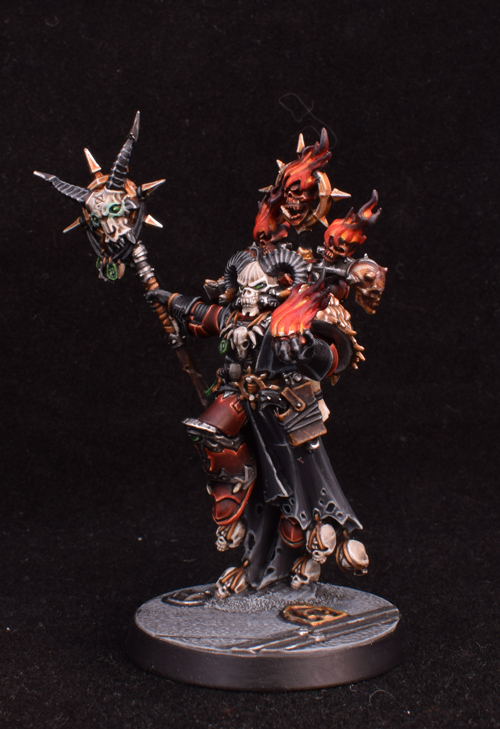 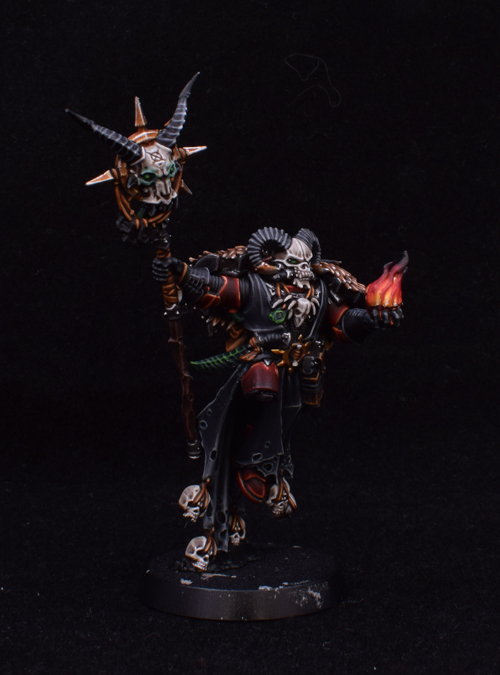 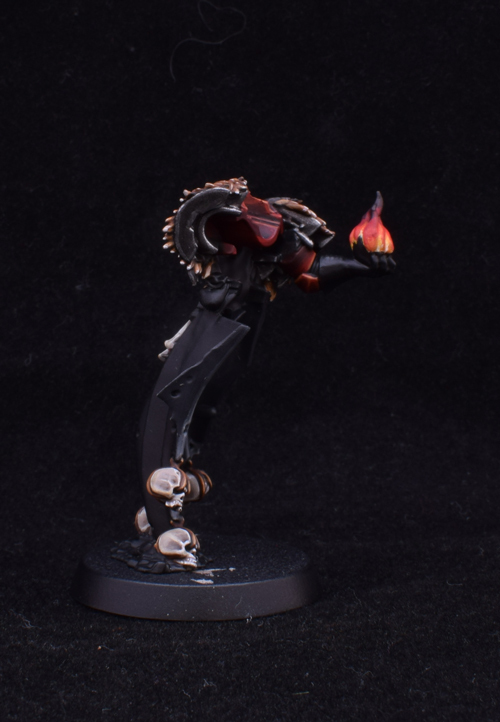 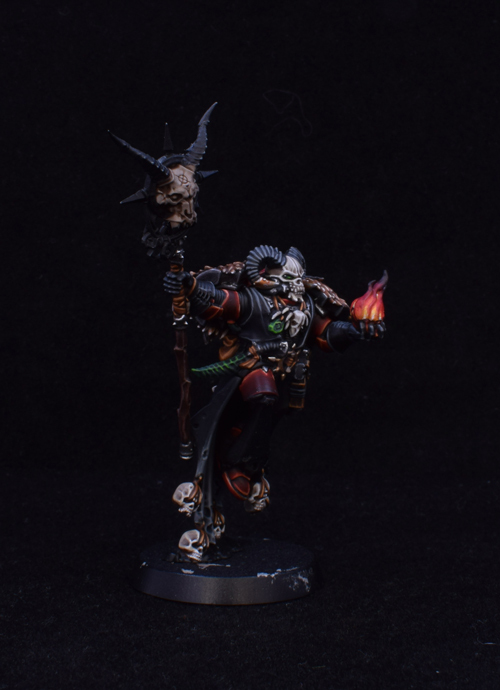 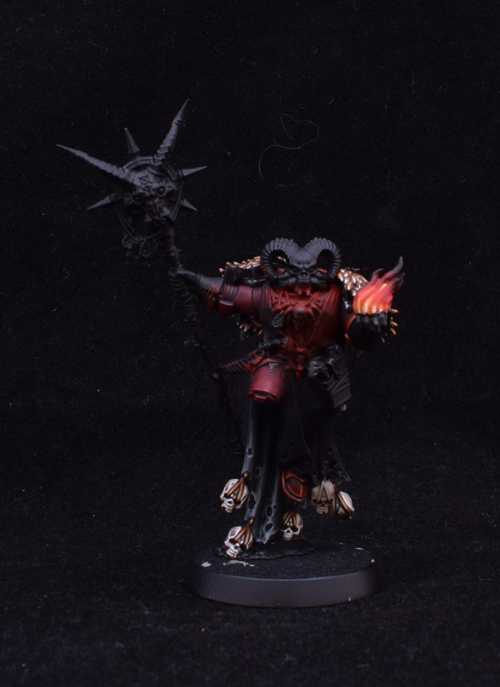 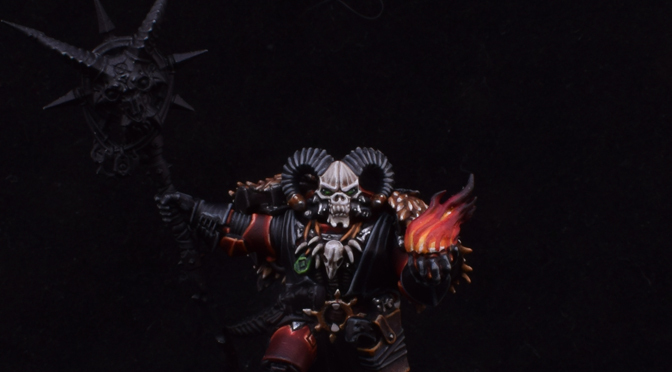 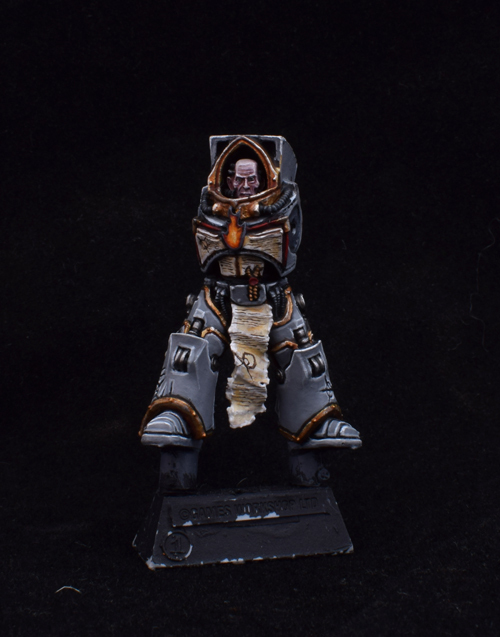 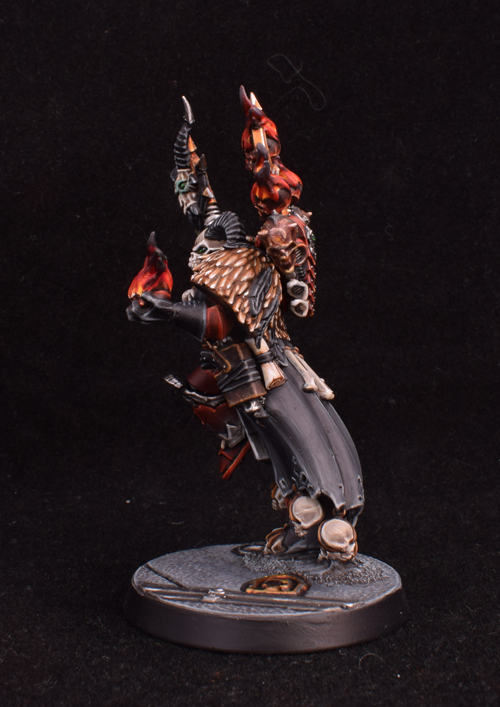 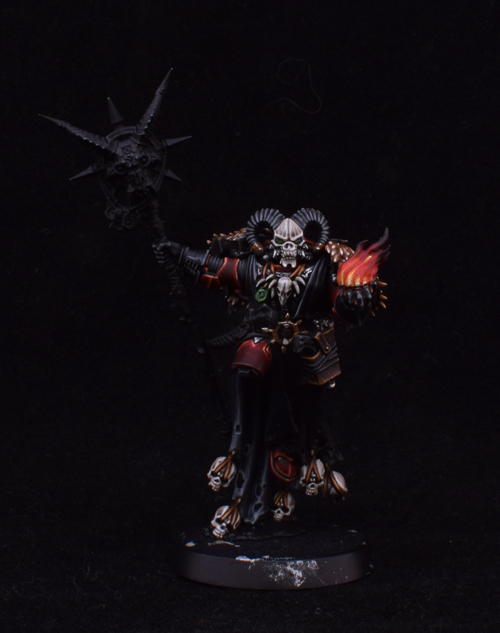 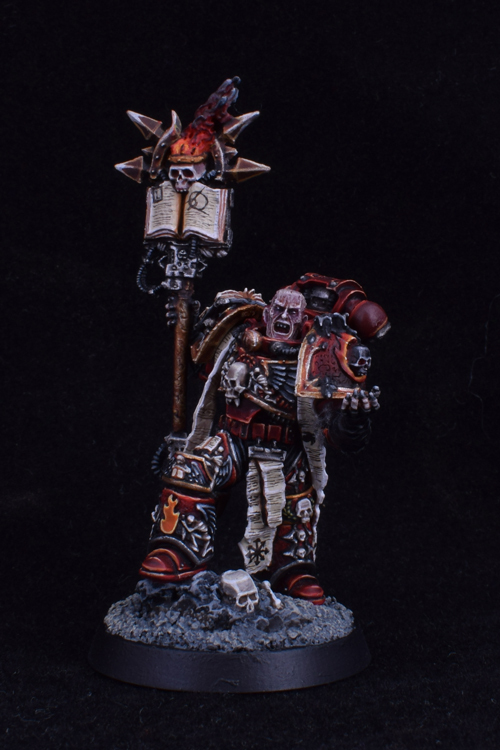 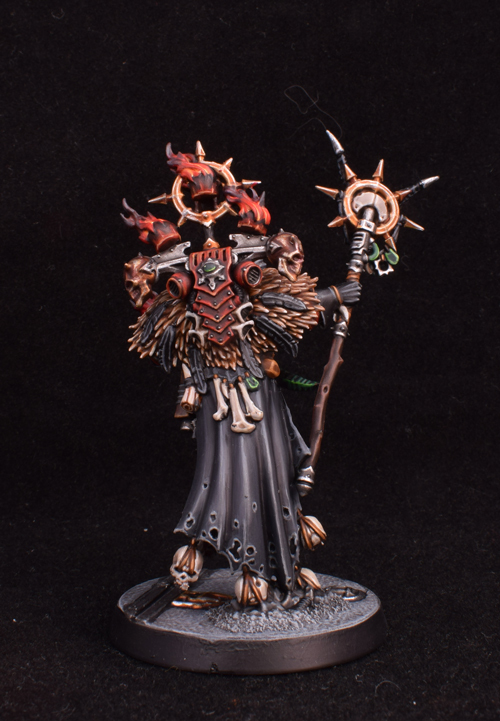 High Chaplain Erebus!